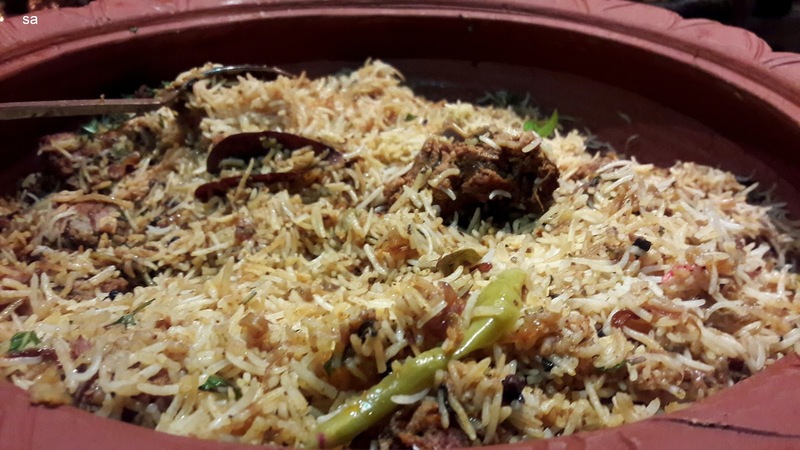 Chennai's love affair with biryani is pretty well known. 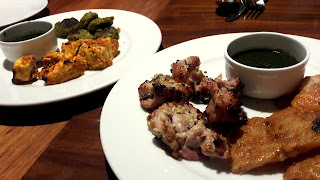 Hyatt Regency has a Biryani Carnival going on - every day till December 10th, Spice Haat's buffet counters will have 5 kinds of biryani, and plenty of accompaniments. Biryani has a hoary past. Probably originating in Persia, the method of cooking this mix of rice, meat and spices could have been brought to north India by the Moghuls or through Calicut by Arab traders. The story of how biryani reached the shores of India is subject to a lot of discussion, that is not the intention of this post. However, our group which had been invited to review the Biryani Carnival had quite an animated discussion about the different kinds of biryani made in various parts the country. 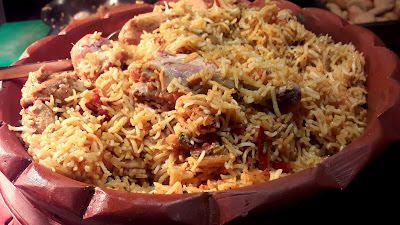 This festival features 5 kinds of biryani on a daily basis - vegetable biryani (sic) and biryani made with 3 kinds of meat and that includes seafood. The speciality of the fifth one is that the meat is carved. On the day we went, it was turkey. The whole bird was cooked with the biryani and the chef carved us slices of meat and served it with some of the rice. Turkey biryani is quite common in homes that serve roast turkey for Thanksgiving or Christmas - leftovers are usually cooked into a biryani. The meat in this one was tender but the rice needed more seasoning. Still, if you can't wait till Christmas to eat turkey, I'd suggest you head over to Spice Haat. Especially for the vegetarians, there's a really nice vegetable biryani labelled kaicurry brinji. They are generous with the mix of vegetables and with the perfectly cooked rice, it's a winning combination. Brinji is a sort of cross between a biryani and a pulav. 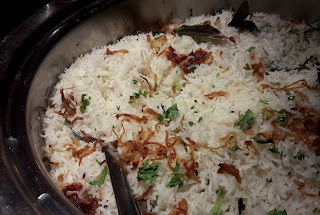 Tamilnadu's second representative was a delish Ambur kozhi biryani, a speciality from the town of Ambur. This one ticked all the boxes - aromatic, perfect spice levels, tender chicken and flavourful rice. Long grained rice, as opposed to the short grained seeraga samba rice is used; biryani purists and experts might scoff at this but luckily I'm neither! 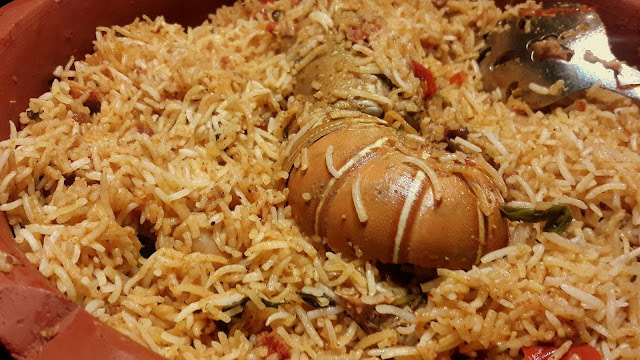 The seafood biryani drew the most oohs and aahs - crab, lobster and squid biryani. Cooked with onions and tomatoes, the rice did not capture the essence of the seafood and the flavours of the meat were quite lost. While the meat of the lobster was succulent, the squid wasn't. 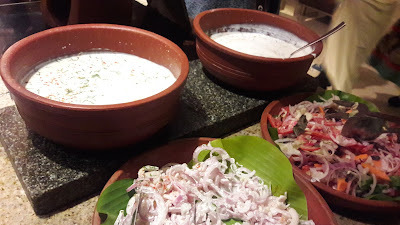 Hyderabad-style kacche gosht ki biryani is one where raw meat is marinated in yoghurt and spices and cooked along with the rice. The skill of the chef lies in getting the meat and rice to cook perfectly. This one certainly did show skill but for me, the rose water was a tad too overpowering and that threw the dish out of balance. 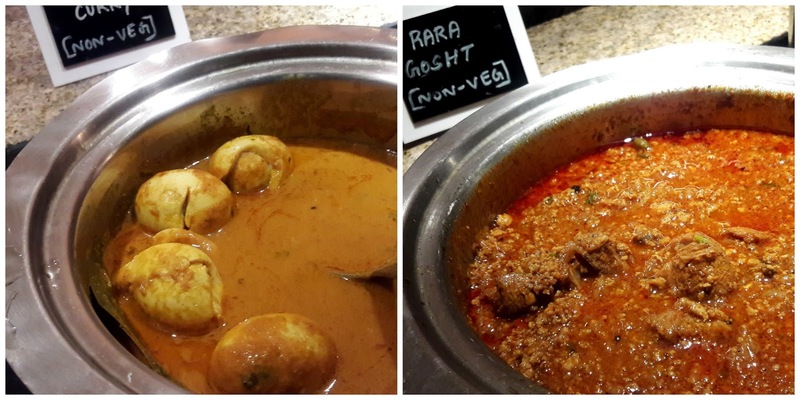 The accompaniments for the biryanis were tangy bagara baigan, a thick brinjal-based gravy, spicy mirch ka salan made with bhajji chillies, 2 kinds of raita and sliced onions in curd. If you find all that biryani a little too much, go for the lighter pulav with fried onions. It's flavourful and all the gravies pair with it really well. 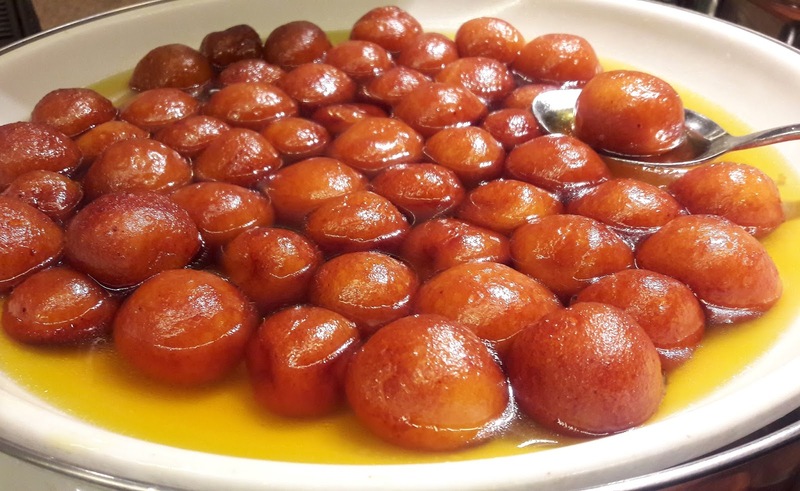 There's plenty to choose from the dessert section but if Indian desserts interest you, there's yummy rasagullas and kala jamuns. The flavour of tender coconut in the elaneer payasam was far too mild and bordered on blandness but the gulab jamuns were yummy. 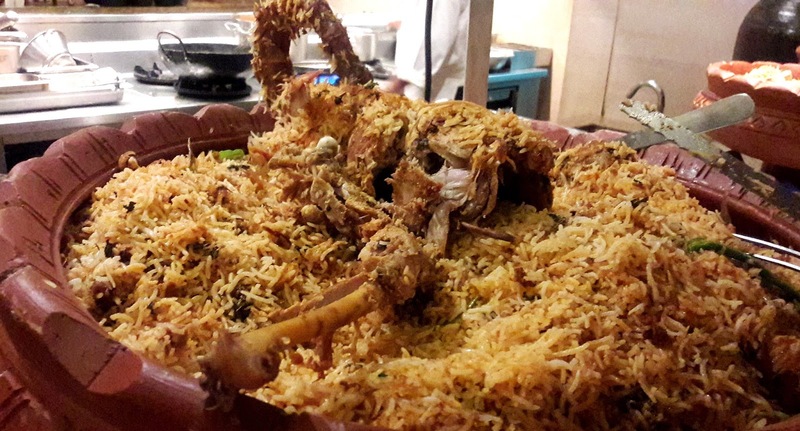 The Biryani Carnival is on till December 10th, from 6.30 pm-10.30 pm. and a different menu every day. The á la carte option is where you choose one out of the 5 biryanis and it costs 999/++ and includes two complimentary premium brews. The buffet costs 1550/++ and you can have all of the 5 varieties of biryani.